In pagan mythology, Cybele was a nature goddess in Asia Minor, the great “mother of the gods,” the patroness of nature and fertility, and came to the western world from Phrygia. 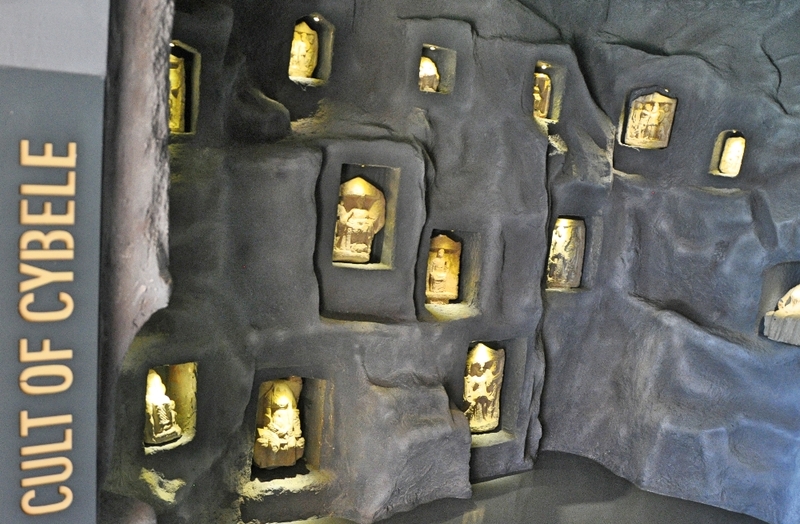 In the Ephesus Museum there is a display devoted to the cult. Cult of Cybele. Ephesus Museum. Photo ©Leon Mauldin. 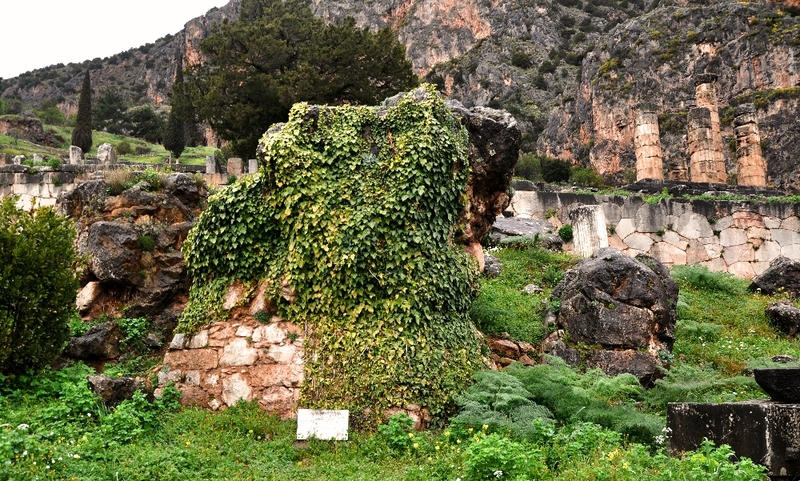 On our recent trip to Greece at Delphi we saw the remains of a site devoted to the worship of Cybele. Temple of Cybele at center. Ruins of temple of Apollo in behind. Photo ©Leon Mauldin. At first this cult was not very popular in Rome, since it was accompanied by ecstatic excesses. By the beginning of the imperial era, however, its influence increased, especially when the emperor Claudius extended his patronage to it. From that time Roman citizens could become priests of Cybele. (The New Testament Milieu). The worship of Artemis and Cybele in the process of time morphed into one. This entry was posted on Monday, May 4th, 2015 at 10:15 PM and is filed under Bible History and Geography, Delphi, Greece, photography, Travel. You can follow any responses to this entry through the RSS 2.0 feed. You can leave a response, or trackback from your own site. Informative! Thanks so much Leon!